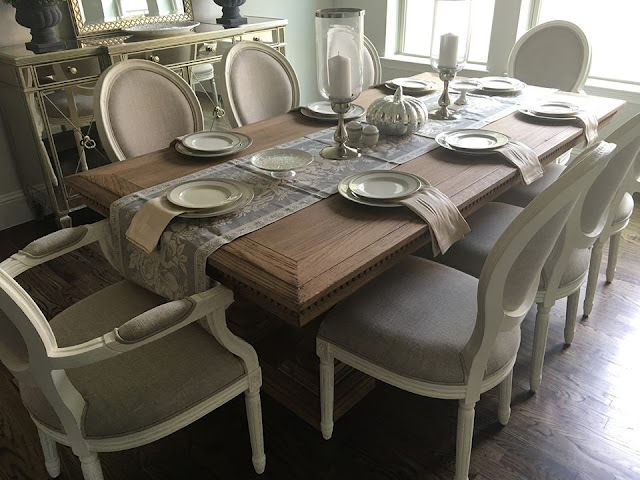 My new dining room furniture is all dressed up for the first time and I couldn't be happier. I love the simple and neutral décor this year. It just feels right and has made me smile as I walked past it all week. Not only will it be our first Thanksgiving here, it will also be our first meal in this room. I can't wait to share it will all of our family tomorrow. I need to get to work ironing those table linens and scotch-guarding those chairs now. I hope you have a great Thanksgiving and a successful Black Friday! Gorgeous room, Jennifer! 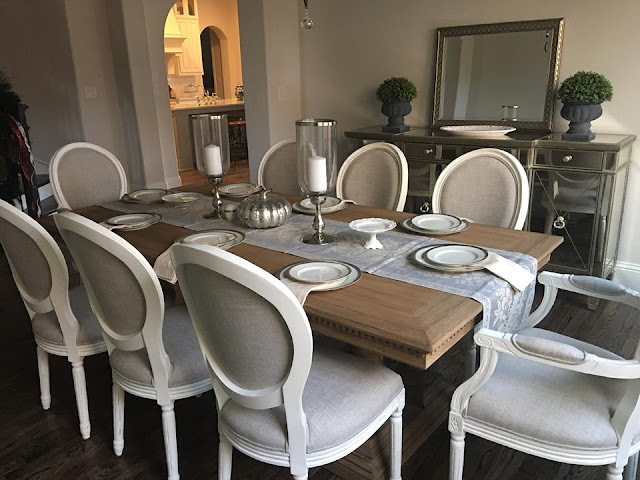 The table and chairs are AWESOME! 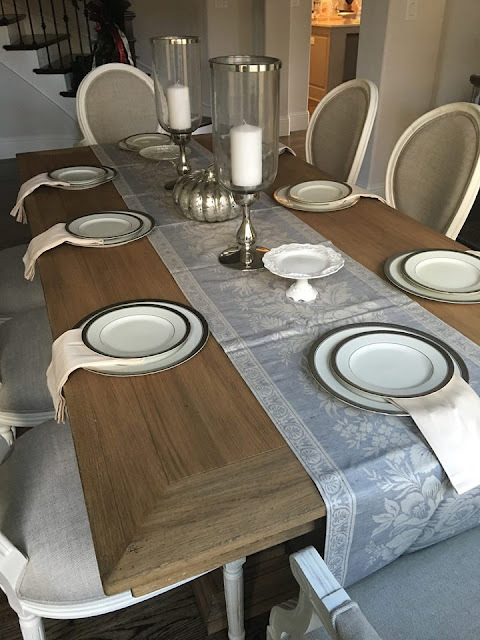 Love your table & chairs! Beautiful room! 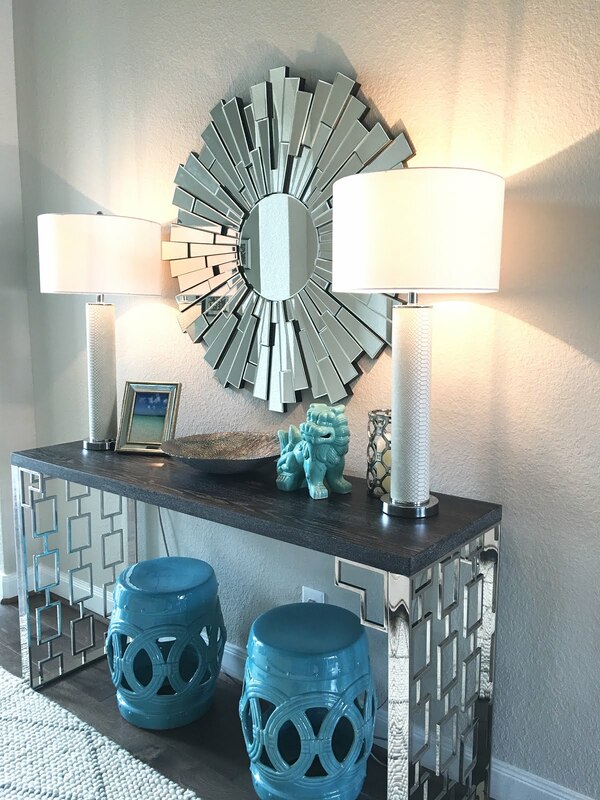 I absolutely love the mix of the casual table and the mirrored credenza!